Dr. Egnatchik is the Director of Buffalo Neurosurgery Group. He is a board certified neurosurgeon who received his BS in chemistry from Stanford University in 1975, and his Medical Doctorate from the State University of New York at Buffalo in 1979. 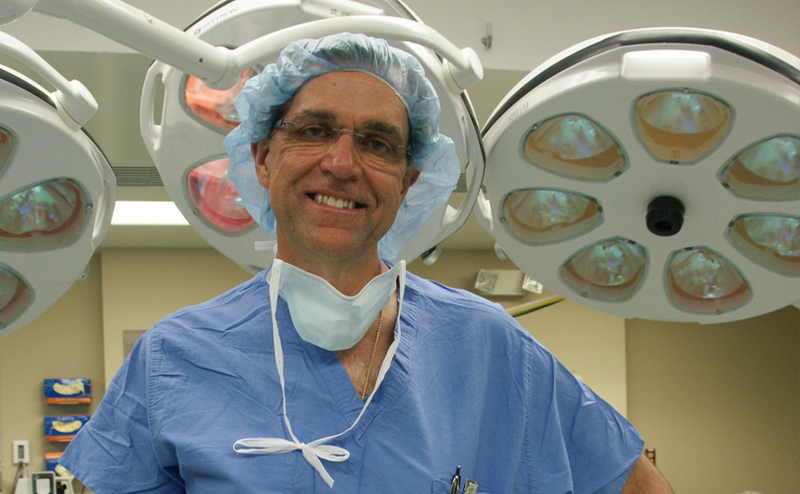 He performed his fellowship training in spinal surgery at Johns Hopkins departments of orthopedics and neurosurgery. Dr. Egnatchik focuses on the treatment of disorders of the cervical, thoracic and lumbar spine. He treats issues such as herniated and degenerative disks, spinal stenosis, facet syndromes, spinal infections and tumors. As a neurosurgeon, Dr. Egnatchik also treats intracranial pathology and peripheral nerve compressive problems including carpal tunnel syndrome. Dr. Egnatchik is on staff at the hospitals of the Catholic Health System and Kaleida. Moreland DB, Egnatchik JG, Bennett GJ: Cotrel-Dubousset instrumentation for the treatment of thoracolumbar fractures. Neurosurgery, 27 (1):69-73, 1990 Jul. Zakeri A. Glasauer FE. Egnatchik JG. Familial Syringomyelia: Case Report and Review of the Literature. Surgical Neurology 44(1):48-53, 1995 Jul. Glasauer FE. Egnatchik JG. Restless legs syndrome: an unusual cause for a perplexing syndrome. Spinal Cord. 37(12):862-5, 1999 Dec.
Asch HL, Lewis PJ, Moreland DB, Egnatchik JG, Yu YJ, Clabeaux DE, Hyland AH: A Prospective Multiple Outcomes Study of Outpatient Lumbar Microdiscectomy: Should 75-80% success rates be the norm? Journal of Neurosurgery Spine 96(1):34-44, 2002 Jan.
Moreland DB, Asch HL, Clabeaux DE, Castiglia GJ, Czajka GA, Lewis PJ, Egnatchik JG, Capuccino A, Huynh L: Anterior cervical discectomy and fusion with implantable titanium cage: initial impressions, patient outcomes and comparison to fusion with allograft. The Spine Journal 4/2: 184-191;discussion 191, 2004 Mar-Apr. Egnatchik JG (January 29, 1988): Surgery, Discectomy fusion. Lumbar Spine Symposium, Toronto, Ontario, Canada. Egnatchik JG (March 15, 1988): Spinal trauma. Intercommunity Memorial Hospital Staff Meeting, Newfane, New York. Egnatchik JG (April 22, 1988): Cotrel-Dubousset pedicular fixation for lumbar spondylolisthesis. Neurosurgery Joint Meeting with New York State Neurosurgical Society, New York City, New York. Egnatchik JG (September 25, 1988) Faculty-Practical Course on Stabilization of the Lumbar Spine. Annual Meeting of the Congress of Neurological Surgeons, Seattle, Washington. Egnatchik JG (September 26, 1988) Speaker-Andragogical Luncheon Seminar on Management of the Failed Back. Annual Meeting of the Congress of Neurological Surgeons, Seattle, Washington. Egnatchik JG (September 27, 1988) Speaker-General Scientific Session II on Lumbar Spine Stabilization: Technique. Annual Meeting of the Congress of Neurological Surgeons, Seattle, Washington. Egnatchik JG (September 28, 1988) Speaker-Luncheon Seminar on Lumbar Instability. Annual Meeting of the Congress of Neurological Surgeons, Seattle, Washington. Egnatchik JG (November 11, 1988) Speaker-Surgical Management. Managing Pain. London, Ontario, Canada. Egnatchik JG (April 1-6, 1989) Panelist on Breakfast Seminar No. 50: Thoracolumbar Injuries and Treatment. Presented at Annual Meeting of the Congress of Neurological Surgeons, Atlanta, Georgia. Egnatchik JG (October 29, 1989) Faculty-Practical Course on Segmental Fixation with Cotrel-Dubousset Rods. Annual Meeting of the Congress of Neurological Surgeons, Atlanta, Georgia. Egnatchik JG (October 30, 1989) Leader-Luncheon Seminar on Management of Thoracic Lumbar Trauma. Annual Meeting of the Congress of Neurological Surgeons, Atlanta, Georgia. Egnatchik JG (October 31, 1989) Speaker-Luncheon Seminar on Treatment of Lumbar Disk. Annual Meeting of the Congress of Neurological Surgeons, Atlanta, Georgia. Egnatchik JG (April 28-30, 1990) Faculty-Practical Course II on Thoracolumbar Stabilization at Annual Meeting of the American Association of Neurological Surgeons in Nashville, Tennessee. Egnatchik JG (April 28-30, 1990) Panelist-Breakfast Seminar No. 11: Lumbar Spine Stabilization. Presented at Annual Meeting of the American Association of Neurological Surgeons in Nashville, Tennessee. Egnatchik JG (July 8-14, 1990) Practical course in Spinal Instrumentation at The Medical College of Wisconsin. Milwaukee, Wisconsin. Egnatchik JG (October 20-25, 1990) Speaker-Luncheon Seminar No. 321: Management of the Failed Back. The Congress of Neurological Surgeons in Los Angeles, California. Egnatchik JG (October 20-25, 1990) Practical course No. 001: Thoracolumbar Spine Instrumentation. The Congress of Neurological Surgeons in Los Angeles, California. Egnatchik JG (April 20-25, 1991) Practical Course X Surgical Management of Thoracolumbar Instability at Annual Meeting of the American Association of Neurological Surgeons in New Orleans, Louisiana. Egnatchik JG (April 20-25, 1991) Speaker-Breakfast Seminar 75: Management of Thoracolumbar Trauma at Annual Meeting of the American Association of Neurological Surgeons in New Orleans, Louisiana. Egnatchik JG (July 7-13, 1991) Practical Course in Spinal Instrumentation at The Medical College of Wisconsin, Milwaukee, Wisconsin. Egnatchik JG (August 13, 1991) Speaker-Treatment and Stabilization of Thoracic Spine Tumors. Department of Neurosurgery, College of Medicine, University of Florida, Gainesville, Florida. Egnatchik JG (October 26-31, 1991) Speaker-Spine Surgery: Fusion and Instrumentation. Neuroscience Nursing Seminar Annual Meeting of the Congress of Neurological Surgeons in Orlando, Florida. Egnatchik JG (October 26-31, 1991) Moderator Scientific Session IV New Technology in Neurosurgery Annual Meeting of the Congress of Neurological Surgeons. Sponsored by: Joint Committee on Education of AANS/CNS, Orlando, Florida. Egnatchik JG (October 26-31, 1991) Practical Course Scientific Session I Spinal Stabilization – Sponsored by: Joint Committee on Education of AANS/CNS, Orlando, Florida. Egnatchik JG (December 14-15, 1991) Practical Course: Lumbar Spine Segmental Stabilization-University of Florida. Sponsored by: American Association of Neurological Surgeons, Gainesville, Florida. Egnatchik JG (February 5-9, 1992) Speaker CD Instrumentation. Joint Section on Disorders of the Spine and Peripheral Nerves, Miami, Florida. Egnatchik JG (April 12-16, 1992) Panelist Breakfast Seminar 14-Recalcitrant Lumbar Pain. The American Association of Neurological Surgeons, San Francisco, California. Egnatchik JG (April 12-16, 1992) Panelist Breakfast Seminar 41-Alternatives in Thoracolumbar Trauma. The American Association of Neurological Surgeons, San Francisco, California. 1989 April - Annual Meeting of the American Association of Neurological Surgeons - Sponsored by: Joint Communication on Education of the AANS/CNS, Washington, D.C.
Hi admin. It was hard to find this site in google. It's not even in top 10. You should focus on hq links from top websites in your niche. It's an amazing post for all the internet people; they will take benefit from it I am sure. you've performed a great task on this matter!